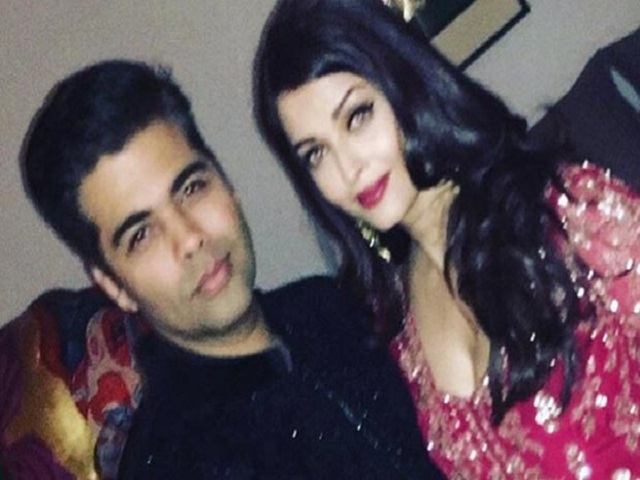 Karan Johar and Aishwariya Rai have ended their Friendship because of ADHM Promotions? There was a time when Karan Johar had strings of friends and family friends. More than half of the industry had a warm and cordial relationship with Karan Johar who is also said to run the industry as every hottest or little gossip is said to land first on him. Ever since Karan Johar had a word-war ‘Queen’ Kangana Ranaut, the controversy doesn’t seem to be stopping. Before this, it was the rift between Karan and Kajol which was the talk of the B-town, and now it’s Karan Johar Aishwariya Rai Friendship. It all started after the Ae Dil Hai Mushkil. When it came for promotions, Karan Johar backed out Aishwarya Rai in the absence of Anushka Sharma, who was playing the lead role in the film. Aishwarya was said to remain absent from the promotions when Anushka was nor present because he didn’t want the audience to feel that Aish was an only actress in the film. While Anushka was busy with her another project, she was unable to mark her presence for sometimes during the promotion of the movie, due to which Aish was also backed out from the promotions. It created a rift between KJo and Aish who were supposed to be excellent friends. This friendship had transformed into bitter terms because when the entire industry came to the funeral of Aishwarya’s Father, it was only Karan Johar who passed the funeral. Also, Karan offered a film after ADHM, but Aishwarya passed it on with a cold shoulder. “Post the success of Ae Dil Hai Mushkil, KJo reached out to the actress expressing interest in doing another film with her, but she gave him the cold shoulder. They haven’t been on great terms with each other ever since ” a source quoted. Well, it will be interesting to see what turns this friendship. After Karan and Kajol, it’s test time for Karan and Aishwarya.